Stanley Cup Champion Ron Hainsey is an American professional ice hockey player who plays in the National Hockey League (NHL). 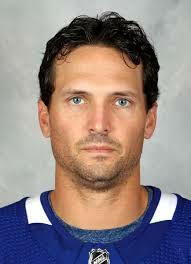 As of 2019, Ronald Martin Hainsey currently plays for the Toronto Maple Leafs as their Defense. Ronald Martin Hainsey has played for other teams like Montreal Canadiens, Columbus Blue Jackets, Atlanta Thrashers, Winnipeg Jets, Carolina Hurricanes, and Pittsburgh Penguins. Ronald Martin Hainsey reportedly earns around $3,000,000 as his yearly salary from Toronto Maple Leafs. Further, Hainsey has an estimated net worth of over $20 million. Hainsey is married to his girlfriend Hayley Hainsey and has three children. Ronald Martin Hainsey was born on March 24, 1981, in Bolton, Connecticut, the United States. As per his nationality, he is American and belongs to the White ethnic group. Furthermore, details regarding the parents, siblings, and educational qualifications are not disclosed on media. As of 2019, Ronald Martin Hainsey has an estimated net worth of over $20 million. He reportedly signed a two-year contract worth $6,000,000 with Toronto Maple Leafs. This contract includes a guaranteed sum of $6,000,000 with a cap hit of $3,000,000. Besides Ron, another ice hockey player Sidney Crosby has a total net worth of around $55 million and is also among the highest-paid ice hockey player. Further, the NHL player has an average salary of $3,000,000 annually. Ronald Martin Hainsey so far has made earnings of $39,231,098 from his entire NHL career. At the beginning of his career, he signed a five-year, $22.5 million contract with the Atlanta Thrashers in 2008. After that, in 2013, Ron signed a 1-year contract with Carolina Hurricanes worth $2 million and later extended his contract to three-years worth $8.5 million. At the upscale Sugarloaf Country Club in Duluth, Georgia, Ron Hainsey bought a two-story home in European style for $ 1,300,000. Built in 2002, the home of Ron Hainsey has five bedrooms, six full bathrooms and two half, theater, swimming pool, in-law suite, garage for three cars and trey ceilings. 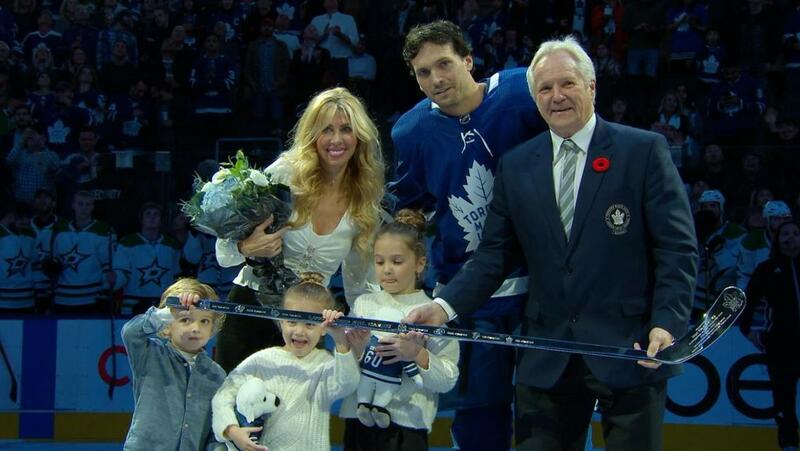 Ron Hainsey married his girlfriend Hayley Hainsey after dating for a long time. The couple is blessed with three children Alexa, Jackson, and Melona who are currently living with them. So far there are no rumors or controversies regarding their divorce and are living a happy married life. When he was a Hamilton Bulldog member, Ron met his wife/spouse in Hamilton, Ontario. There is no news regarding their extra-marital affairs. Ronald Martin Hainsey is not only a famous NHL Defense, but he's also quite famous in social media. The famous NHL star is about 6 feet 3 inches tall in height and weighs about 95 kg. Ronald Martin Hainsey is not only an athlete of the world class, but he also has a very attractive person. Ron was drafted in the 2000 NHL Entry draft by Montreal Canadiens and played three seasons with them. Later in 2008, he started playing for Thrashers. Ron previously played for several teams including Montreal Canadiens, Columbus Blue Jackets, Atlanta Thrashers, Winnipeg Jets, Carolina Hurricanes, and Pittsburgh Penguins.